Downtown Gadsden - Shopping doesn't get much sweeter than this! 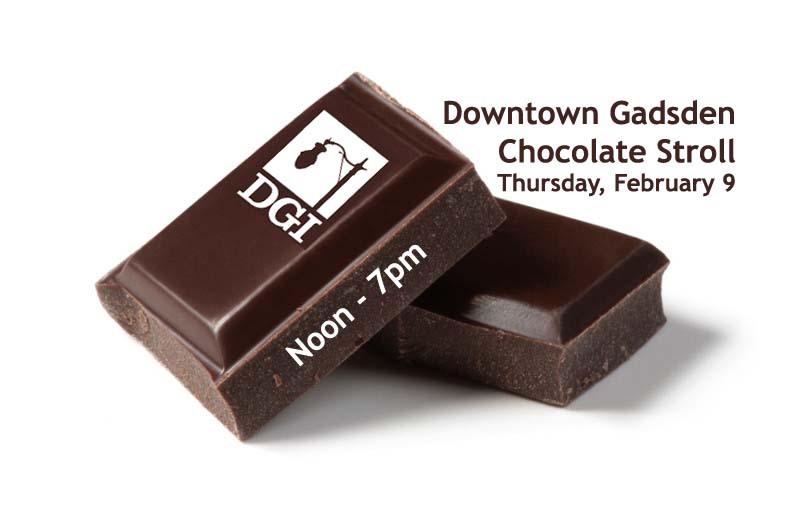 The Downtown Merchants will host a chocolate stroll on Thursday, February 9th from Noon to 7pm. Shop, stroll and taste some delicious chocolate treats as you venture down Broad Street and beyond. Each participating merchant will be serving a different chocolate treat. Don't miss out on this amazing opportunity to shop and dine in beautiful Downtown Gadsden during a special event created for you and your friends!